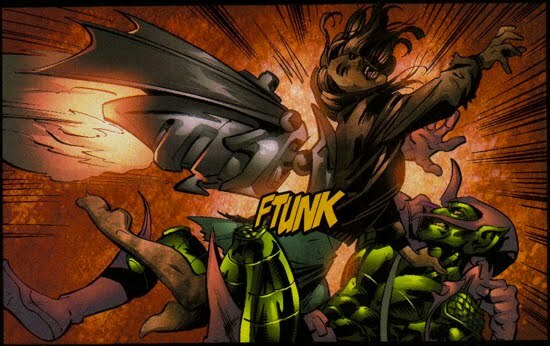 The Green Goblin has been viewed by the public as a criminal ever since he first appeared on the scene within the Spiderverse. Since the villain wears a mask, the public has never known just who to hold responsible for the crimes committed by the Goblin. 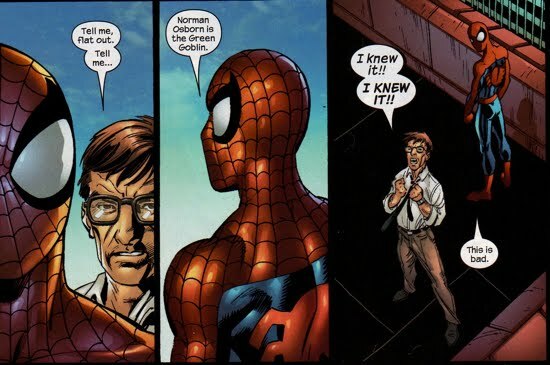 Norman Osborn, who was accused of being the Goblin in Ben Urich's Legacy of Evil, has been able to evade or redirect any of those accusations since he "returned from Europe" at the conclusion of the Clone Saga. But Norman's sociopathic tendencies were not going to be able to allow that status to continue and Norman eventually slips up, blowing the cover off of his nefarious alter ego. 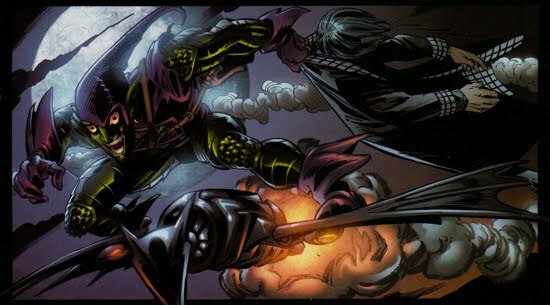 The revelation of Norman Osborn as the Green Goblin is featured as a five part story arc entitled Thin Air in The Pulse #1-5. J. Jonah Jameson, publisher of the Daily Bugle, has second thoughts in regards to his stance on super heroes and he wants to dedicate a new section of the Daily Bugle to that caste of society. The new section, entitled The Pulse, will explore the mysteries and scandals surrounding super heroes, and Jameson has solicited Jessica Jones to be his new consultant for that section. She accepts, and informs JJJ that she is pregnant with Luke Cage's child. Meanwhile, a dead body turns up mutilated in a reservoir on the east side of Central Park. It is later revealed to be the body of Daily Bugle reporter Terri Kidder. The series of events that led Terri Kidder to her untimely demise are featured in The Pulse #2. Terri was convinced that she was about to be fired by JJJ because none of her stories were coming together. Luckily, she gets a tip from her friend Sheryl Doser, who relunctantly informs her that there are some missing persons from Oscorp, where Sheryl works. Terri follows up on this lead and tricks her way into the office of Norman Osborn by claiming that she is doing an article on the 100 Most Powerful People in the city. After some playful banter, Kidder tries to dupe Osborn into giving up answers about the missing persons. Norman doesn't fall for her tricks and immediately strangles her, breaking her neck. He then dons the Green Goblin costume and drops the corpse into the reservoir. Ben Urich, the staff writer assigned to the Pulse, along with writer/reporter Kat Farrell continue to investigate the murder of Terri Kidder in The Pulse #3. Through their various connects they are able to piece together that Kidder was killed (by strangulation) by a man and that she was dropped from a relatively high distance into the water. But the case takes an unsuspecting turn when Urich stumbles upon one of Kidder's voice mail messages suggesting that she was investigating Oscorp when she was last seen. This places Norman Osborn as a suspect and Urich immediately phones Peter Parker/Spider-Man to fill him in. In The Pulse #4, Ben Urich and Peter Parker come clean on variety topics including Spider-Man's civilian ID, the Green Goblin's true ID, the death of Gwen Stacy, and the recent missing persons at Oscorp. Peter tells Urich that the only to prove that Norman Osborn is the Green Goblin would mean admitting to the world who he is, and he even feels that that plan could back fire on him as well. Urich then speaks with Doser, who confirms giving Kidder the tip, and he then turns to JJJ to see if he will be willing to publish another attack against Osborn. JJJ is relunctant at first, but Jessica Jones then suggests that revealing truths like this are the sole purpose of JJJ's establishment, so they must pursue the story. 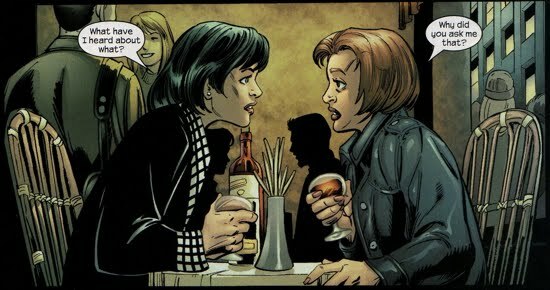 At the story's conclusion, Ben Urich, Jessica Jones, Kat Farrell, and the police arrive to question Osborn, and Osborn greets them with some good old fashioned pumpkin bombs. The final segment of the Thin Air story arc is featured in The Pulse #5. This story begins immediately following the events of the previous issue in which Norman Osborn, as the Green Goblin, has attacked the police and reporters looking to get answers from him regarding the missing persons. The Goblin's attack nearly kills Ben Urich and the pregnant Jessica Jones. 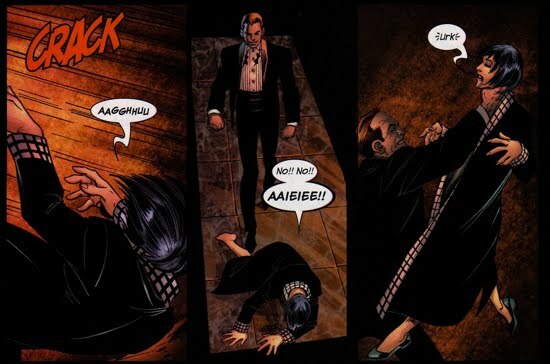 Even though Spider-Man is able to intervene, the Goblin manages to escape, but Norman Osborn eventually hands himself over to the authorities. Luke Cage, seeking revenge for the attack on Jessica, stops Osborn's limo in the middle of the street to exact some punishment on the villain. Norman quickly dons the Goblin mask and glider, but Luke Cage and Spidey are able to neutralize him. 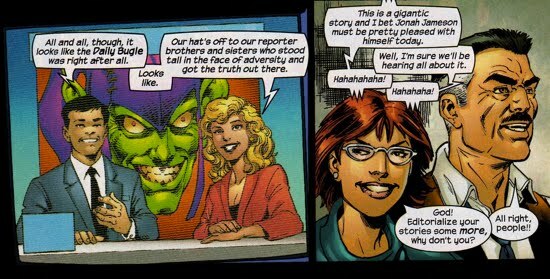 Norman is truly confirmed as the Green Goblin to the public and the Daily Bugle receives numerous accolades for their aid in bringing him to justice. JJJ immediately prepares to re-publish Urich's book, Legacy of Evil, as well as the stories concerning Osborn that they ran two years ago when they were "right the first time" regarding the Goblin. As the story ends, news stations across the country are reporting Norman being exposed to the public as the Green Goblin. Although it occurred off-panel, Norman escapes custody once again as reported in the All-New Official Handbook of the Marvel Universe A-Z Update #1. Osborn makes his way to a church and takes a handful of hostages whilst demanding that Spider-Man commit suicide publicly. This escape leads right into Norman's next confrontation with Spider-Man in Marvel Knights Spider-Man #1-12. Certainly one of the most controversial story arcs concerning the Green Goblin in a very long time. Some things worth noting throughout this arc. 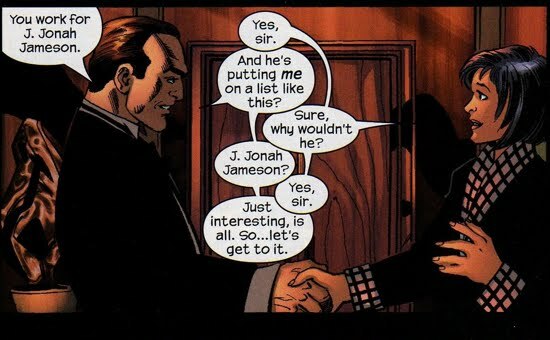 Norman's reaction to JJJ's agreement that he (Osborn) be amongst the 100 Most Powerful People in the city is very indicative about their relationship. Norman is in disbelief because he knows JJJ hates his guts. Also, this story arc marks the first time Osborn's company is referred to as Oscorp, all prior stories refer to it as Osborn Industries. Stories published after this now use Oscorp, a name which originated in the '90's Spider-Man animated TV show. It should also be noted that Urich's surprise the Norman was the Green Goblin is a bit contradictory to the events of Spider-Man: The Legacy of Evil one shot. Spider-Man told Urich in that story that Norman was the one true Goblin, I'm not sure why he was so surprised when Spidey told him again. Finally, the events of this story arc have tremendous implications for Dark Reign, since there is a public denouncement of Norman Osborn and a confirmation of his involvement as the Green Goblin. The exact ramifications of this arc on Dark Reign have not yet been explored.